At age 10, Casey Cox discovers her father's lifeless body hanging in their house. The consensus is he committed suicide, but Casey insists her father had no reason to kill himself. Her police officer father was happy with his job and his home life. Casey also notices bruises on him and signs of a struggle, but no one listens to her. The detectives investigating the scene believe Casey suffered from trauma. Thirteen years later, Casey's friend Brent Pace summons to her to his home. A journalist, Brent's been scrutinizing Casey's belief her father was murdered. Upon her arrival, she finds Brent in the foyer in a pool of blood. Panicked and terrified, Casey rushes home, packs some necessities, and grabs $12,000, a third of the money her father considered his "Rainy Day" stash and which her mom insisted she and her sister divide equally. The Greyhound terminal is her destination after she dumps her car. With no security cameras, this is the safest way to disappear. She purchases a ticket to El Paso, yet disembarks and spends the night when they stop in Dallas. The next day, she heads to Tulsa, OK. She disembarks in the small town of Durant. Already having whacked off her long blonde hair, Casey dyes her hair brown, paying cash for all expenses. She knows she needs a new identity as is shown on all the detective programs she is hooked on. In a seedy part of town, she encounters a guy in dreadlocks and asks him where she can obtain a driver's license. When he resolves she's not a cop, he directs her to a diner after bilking her out of $60. Casey, too frightened of being caught to worry about meeting up with unsavory characters, gets the needed documents, again at a price. It is now a case of being one step ahead of the law. With her new persona as Grace Newland, she hopes she's bought herself some time. At a local library, she peruses their computer for news from her hometown of Shreveport, LA, finding the publication of Brent's murder. Casey next heads to Atlanta. On the trip she meets an elderly woman going to GA to live with her daughter and family. Introducing herself as Miss Lucy, she discloses her sorrow at the disappearance of her teenaged granddaughter two years prior. Casey finds herself warming up to this woman who believes she is running from an abusive relationship. Miss Lucy extols the virtues of Shady Grove, suggesting it's a good place for Casey to settle. As Casey evades capture, Dylan Roberts, recently released from the service after several tours and suffering severe PTSD, is heartbroken about Brent, his childhood friend. Brent's parents hire him to search for Casey, and he is determined to find the woman believing all evidence points to her. The more Dylan learns about Casey, he realizes she does not fit the profile of a murderer. Yet if she didn't cause Brent's death, why did she take off? 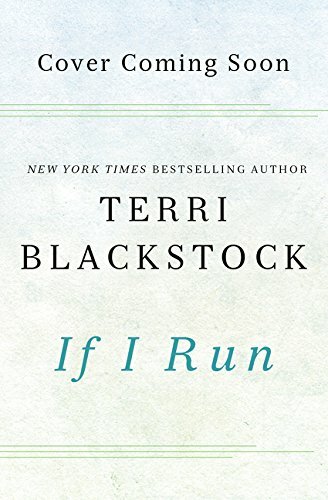 A fast-paced, thoroughly mesmerizing thriller, If I Run offers distinct Christian undertones. Though not preachy, this layering adds to the complexity of this suspenseful novel. An enthralling read with an entirely unexpected conclusion makes the reader question if a sequel could be in the works.